We already know the classic stuffed turkey for Christmas dinner, but not all countries have the same traditions. On this occasion we would like to talk about different dishes that different cultures taste around the world. 1. 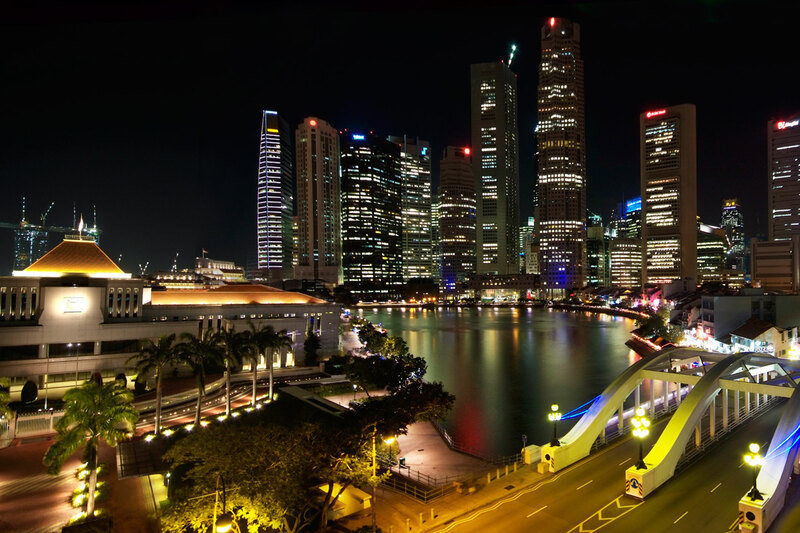 Singapore – Devil’s Curry. 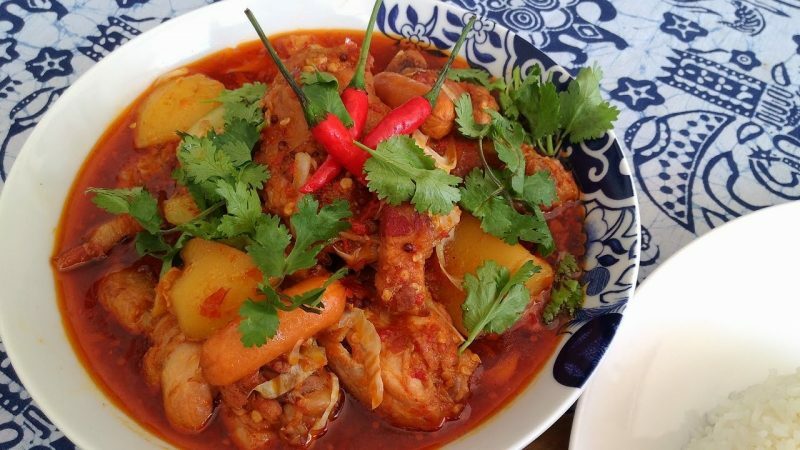 No one likes to waste food, and families in Singapore are no exception. They prepare a traditional dish to enjoy in December 26th, with everything left over from the Christmas dinner. It is a mixture of chicken, vegetables, cucumber, sausage, chili, and other ingredients, topped with a very well seasoned curry sauce. Desserts can not be missed in the Christmas menu, and the traditional British truffle is an important reference in English cuisine. 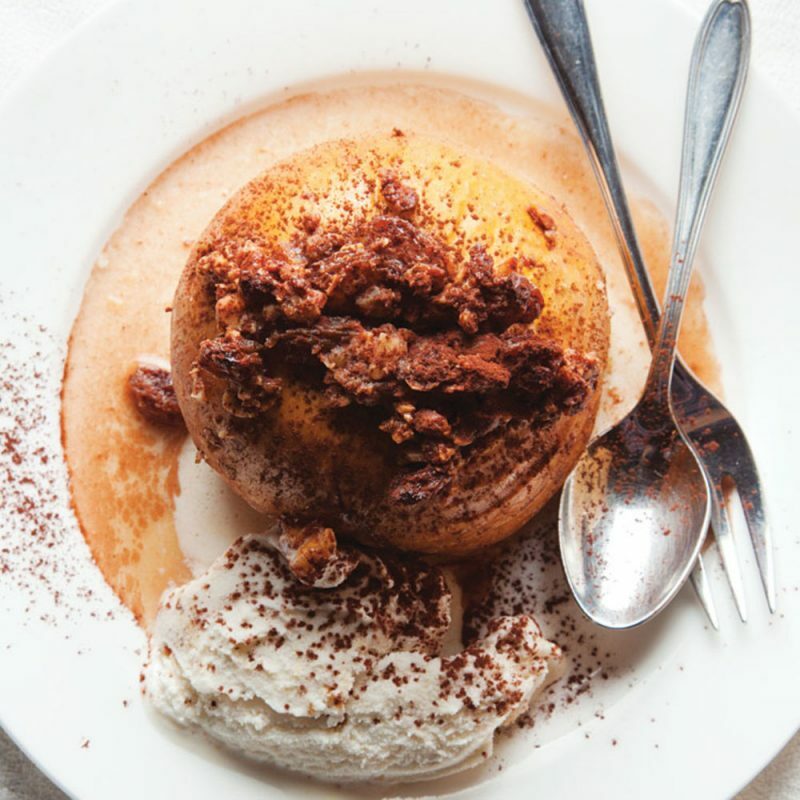 This dish is created from layers of different flavors, all sweet. The recipe has been modified over time, however, cookies, honey, whipped cream, and jam can not be missed. 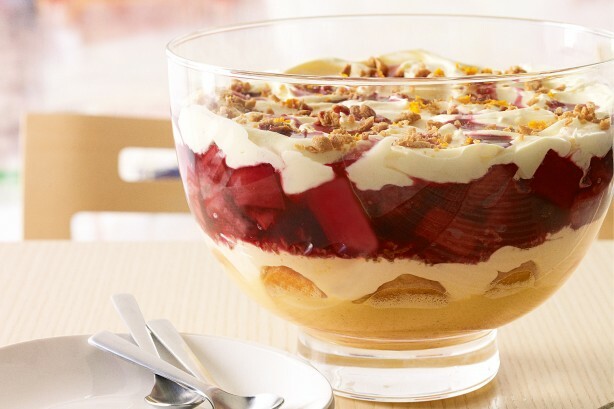 Another dessert that we can not pass up is the one they enjoy in Germany during the Christmas time. This traditional candy is found in all German stores and there are different recipes to make it. The most typical ingredients are butter, nuts, white wine, and the delicious blue cheese. Venezuelans do not spend Christmas without enjoying their traditional Hallaca. This dish is a traditional tamale, made from corn flour cooked in chicken broth. This dough is seasoned with achiote and stuffed with beef, pork, chicken, grapes, raisins, olives, peppers, and onions, and wrapped in bijao banana leaves. 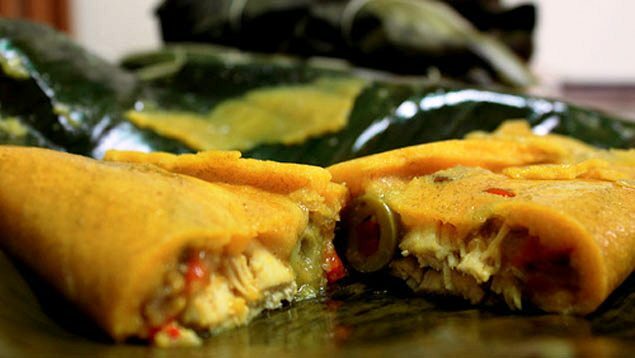 The Hallaca is undoubtedly a Venezuelan delicacy, ideal for the holiday season. The southern hemisphere enjoys a very warm climate during the Christmas season. 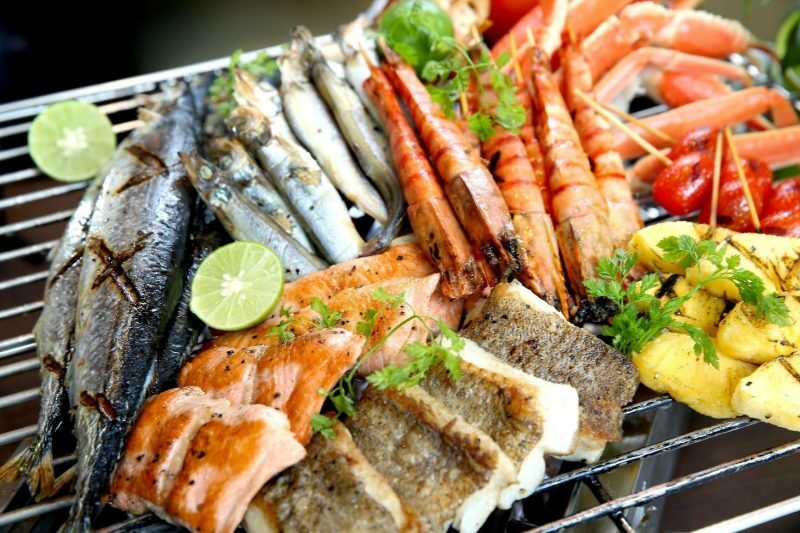 Australians enjoy this time of year with delicious seafood and outdoor barbecues and close to the beach. The most traditional are mariscadas, tropical fruits and fresh cheeses. They offer seafood in all kinds of presentations, as they can be in grill and salads, always accompanied in curry sauce, diverse chilis, and olive oil. You already know more options to enjoy at Christmas like the rest of the world. We invite you to share the traditional dishes and recipes that you enjoy with your family during this time of year. His father instilled in him the love for flying; with just 6 years old, he flew for the first time and at 16 he was licensed to fly planes, even before driving a car. He began studying aeronautical engineering at Purdue University in Indiana in 1947, but had to stop his work after the outbreak of the Korean War. The rocket planes were a novelty in the new era of aviation, and thyey were an opportunity for pilots who were also engineers to test experimental ships in real time. Neil joined the station High Speed Flight of the NACA, at Edwards Air Force Base in 1955 after obtaining his degree and three years experience flying in the war. They flew bombers, rockets, and even futuristic experimental simulators. After several dangerous flight tests that were designed to ensure that the vehicle, Dyna-Solar, did not explode during launch, Armstrong was selected, at his 38 years, as capitan in the Apollo 11 mission that had as destination the natural satellite of the Earth. Neil Armstrong, Michael Collins, and Edwin E. “Buzz” Aldrin left on July 16th, and landed in lunar soil on July 20th, 1969. 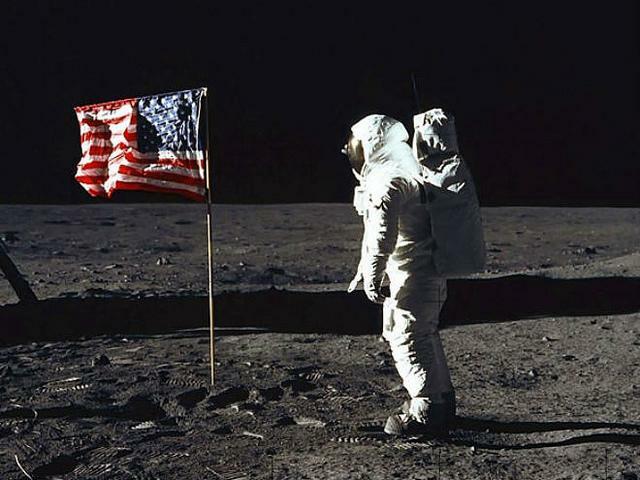 They remained there for two and a half hours taking surface samples, photographs, and videos, while the world was part of their achievement through television: “That’s one small step for a man, and one giant leap for mankind,” Armstrong said during transmission. The ship landed safely in the Pacific Ocean on July 24th, near Hawaii. The crew was received by authorities and US citizens as heroes, and were awarded multiple awards, but they were quarantined, anticipating the unknown effects that the journey could have had in their bodies. 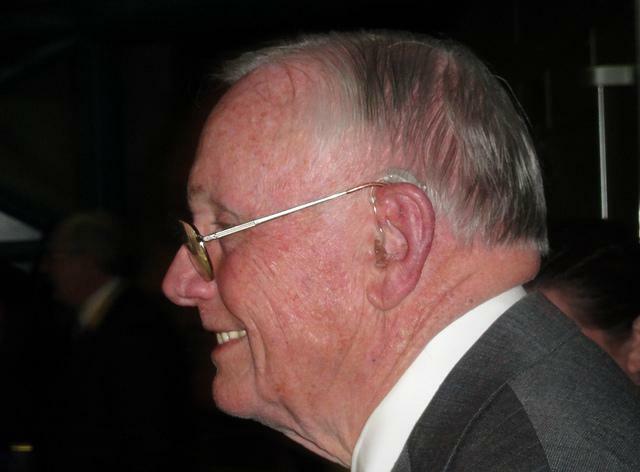 The Apollo 11 mission was the last for Armstrong, who worked until 1971 as an administrator at NASA, as well as an associate representative for aeronautics, in the office of advanced research and technology. Following, he dedicated his last working years to teaching, at the University of Cincinnati for about 8 years. He died in 2012 at age 82, because of a complication of heart surgery. 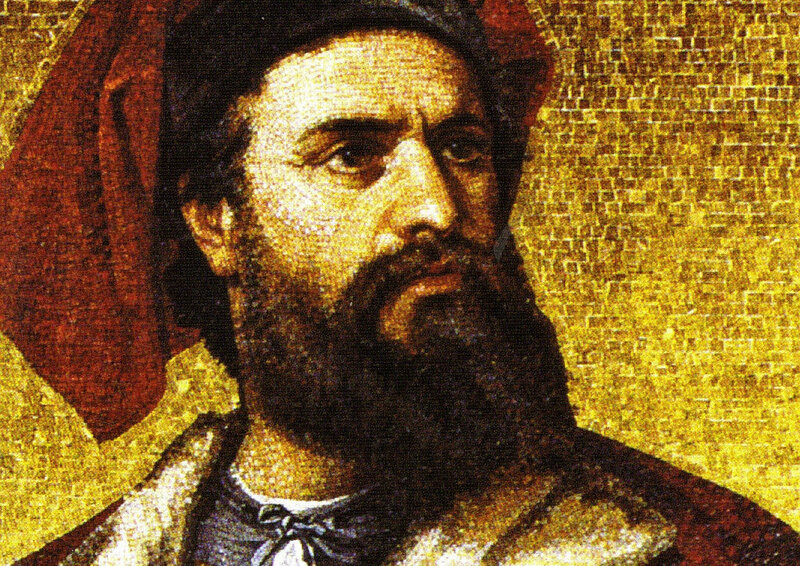 Born in 1254 in Venice, Marco Polo is one of the most famous and important travelers in the history of mankind. His travels and adventures turned novel in the book The Travels of Marco Polo are important references in world history and literature. It is difficult to rely on the little information that exists about the origins of Marco Polo and his family. One may consult some authoritative documents originating from Venice, however, many other documents and writings are nothing more than rumors and legends. Belonging to a family of merchants, Marco Polo learned everything about merchandising in his hometown, thanks to his father Niccolò. During one of the trips that Marco Polo did with his father, it is said that he met Kublai Khan, the last great Khan of the Mongol empire. This political connection allowed him to serve Mongolia and China, making trips through Asia, knowing Armenia, Persia, and Afghanistan, crossing the Silk Road. Thanks to its relationship with the Khan, he is said to became governor of the city of Yangzhou, China before returning to Venice in 1295. During this time, Venice was at war with the Republic of Genoa. Because of this, Marco Polo was imprisoned, allowing him to meet the writer Rustichello of Pisa. It is said that Rustichello is the true writer of Marco Polo’s adventures. The Travels of Marco Polo was a very popular book among merchants and traveling salesmen of his time, and was even the inspiration of Christopher Columbus, who possessed a copy. 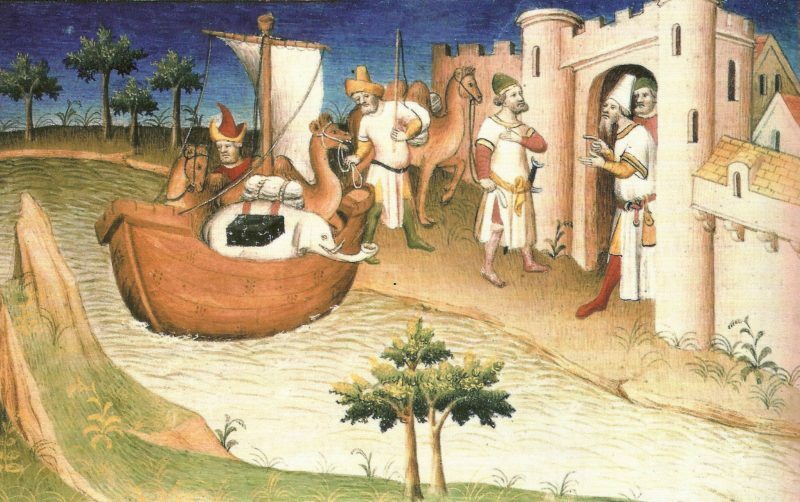 Thanks to Marco Polo, the world met customs, myths, and other aspects of the Asian culture. These stories make the first real testament to the way of life of Chinese, Japanese, and Indian civilizations, among others. 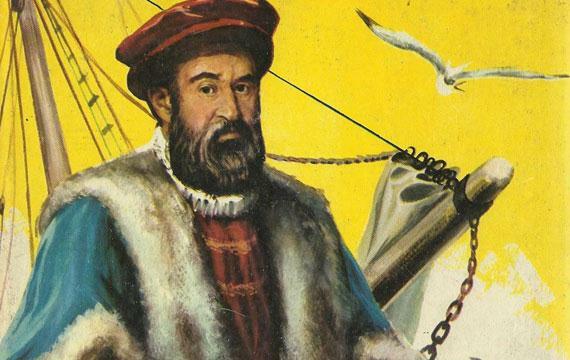 Ferdinand Magellan, also called Hernando, was a soldier, sailor, and navigator of Portuguese origin and noble lineage. It was an important character for the Monarchy, as he was named commander in chief of the Navy to the discovery Especería and Knight of the Order of Santiago. Born in 1480 in northern Portugal, Ferdinand Magellan was one of six children of Rui Magellan and Ines Vaz Moutinho. In 1517, he made his own family with Beatriz Barbosa, with whom he had two sons Rodrigo and Carlos, who died in infancy. 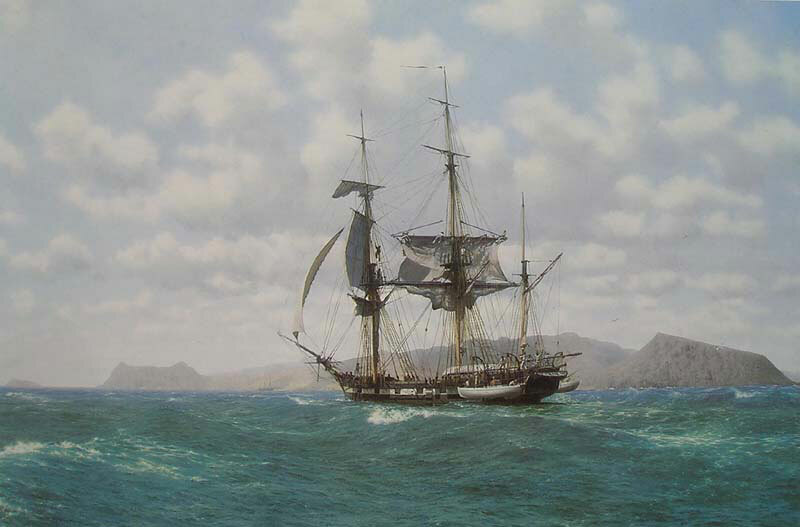 It was in service to King Charles I that this great traveler discovered the now famous Strait of Magellan. Thus, he became the first European to sail from the Atlantic Ocean to the Pacific Ocean. However, before this great journey that would consolidate him as one of the most important travelers of history, he made several other trips in his youth. With only 25 years in 1505, Magellan enlisted in the Navy of India to service the first viceroy. It is said that he spent eight years participating in various battles and military actions in this lands, and that he was even wounded. In 1509 he participated in the first expedition to Malacca, where he had to flee because the fleet he was traveling with was the victim of a conspiracy. His actions in this expedition won him many honors and a military promotion. A couple of years later, he would participate in the conquest of the place. After participating in other trips, he decided to study nautical charts in Lisbon, next to a famous cosmographer named Rui Faleiro. Thanks to these studies it was that he began to haunt the idea of crossing from the Pacific to the Atlantic Ocean. It was until 1519, that the expedition from Seville parted, with the intention of finding a sea passage to the East Indies. 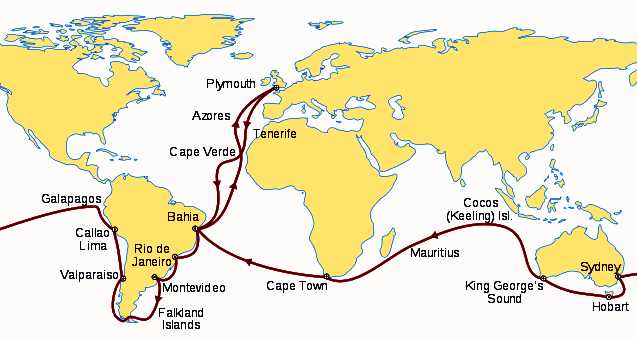 This route had already been searched by Christopher Columbus. 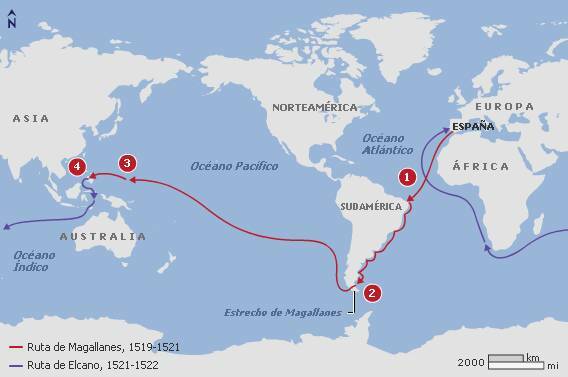 Various setbacks made Magellan doubt on his chances of success. After a series of rebellions during the winter, some conspirators plotted a mutiny. However, they did not succeed and organizers were killed. Then, diseases such as scurvy, hunger, and thirst, attacked the whole crew. Despite all the setbacks, in March 6th, 1521, they found an island where they could rest, gather food, and even receive numerous indigenous gifts. It was until then that Magellan understood that he had reached the Far East, honoring Christopher Columbus project with began years ago. Christopher Columbus was a navigator, cartographer, and admiral from the Republic of Genoa in the service of the Crown of Castile. Thanks to him, the European world could expand into what was known as the New World, America. It is recorded that in the year 1476 during an expedition, the fleet in which Columbus was traveling was attacked by the French, very close to Portugal. Because of this, Columbus settled in Lisbon as a commercial agent, making trips to Guinea, England, and Iceland. In Portugal also, he was dedicated to making maps and other studies, such as classical languages, which allowed him to learn about the studies of Aristotle and Ptolemy on the sphericity of the Earth. Thanks to these studies, Christopher Columbus would be inspired to make the greatest journey of his life, what the world would recognize as the discovery of America. Assuming that the globe was smaller than it actually is, Columbus designed a trip to Asia by sailing west. It is said that some sailors briefed him on some islands that could serve as rest stops, completely ignoring that it was a new continent. 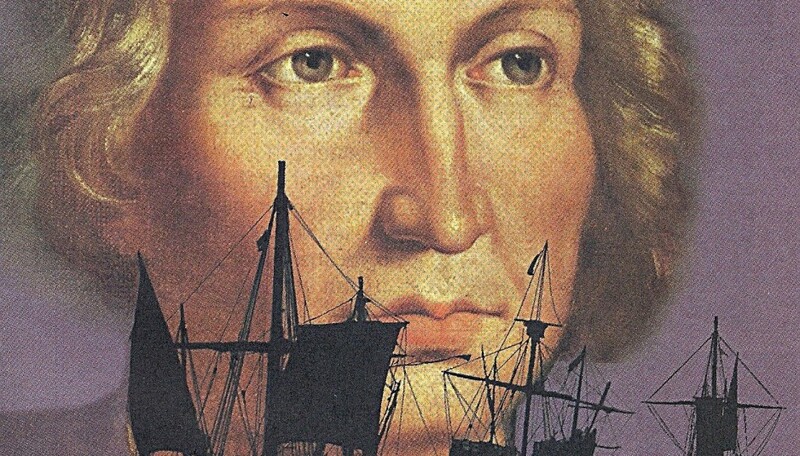 Under the pretext of improving the European economy, Columbus found in the kings of Spain its sponsors, who helped him undertake the most important journey of his life. The plan was to reach the Far East without crossing the lands controlled by the Arabs. That was how, in August 2nd 1492, the three caravels sailed to unknown lands. All full of characters previously imprisoned, and anyone who would venture on a journey of months by sea. 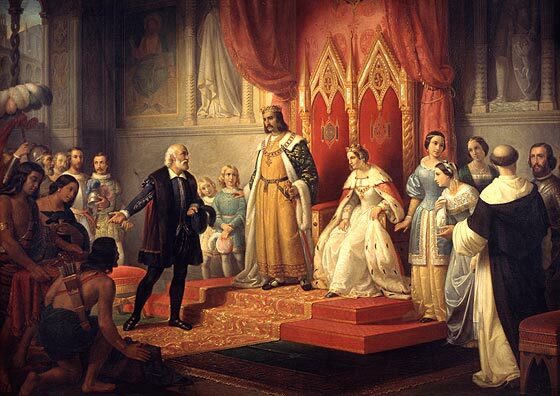 Queen Elizabeth had granted important privileges Columbus to ensure his return. Columbus discovered America on October 12, 1492, haphazardly and without knowing it. It is said that other European navigators had already stepped on American soil before Columbus, however, he was the first to share the news with the world and the only one capable of making the map for making possible the exploration. The discovery of America was the first step toward colonization and paved the way for the so-called conquistadors like Cortez and Pizarro who later ventured to the New World. He was an English naturalist, considered the most influential scientist of the time to raise the idea of biological evolution through natural selection. His work “On the Origin of Species” (1859) is the result of his observations during his expedition aboard the Beagle from December 27th, 1831 to October 2nd, 1836. Captain Fitzroy led the expedition in order to complete the topographic survey of the territories of Patagonia and Tierra del Fuego, tracing the coast of Chile, Peru, and some Pacific islands, as well as perform a series of lap times around of the world. 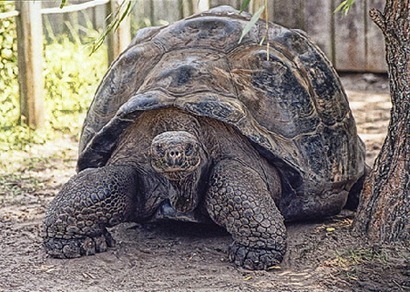 The trip, which began in Davenport, carried Darwin along the coast of South America, the Galapagos, Tahiti, New Zealand, Australia, Mauritius, and South Africa islands and lasted more than five years. Such were the impressions of the young Darwin, then willing to become pastor, that after this expedition he would refer to it as his “second life”. Darwin observed the growth of coral reefs around the edges and on top of islands, in the process of sinking. He developed hypotheses about the geological structure of some islands, as Santa Elena; and discovered some similarity between the fauna and flora of the Galapagos Islands with South America, and how it made a difference in the same species developed on different islands. Darwin was amazed by the uninhabited Galapagos Islands, where he found, supposedly extinct, turtles and oversized crabs, hawks and doves, who came friendly to rest on the shoulder of the traveler. The young man recounts enthusiastically in his travel diary the grandeur of the lava plains in the Cape Verde Islands, impressed by the habits of some marine animals, especially the octopus. 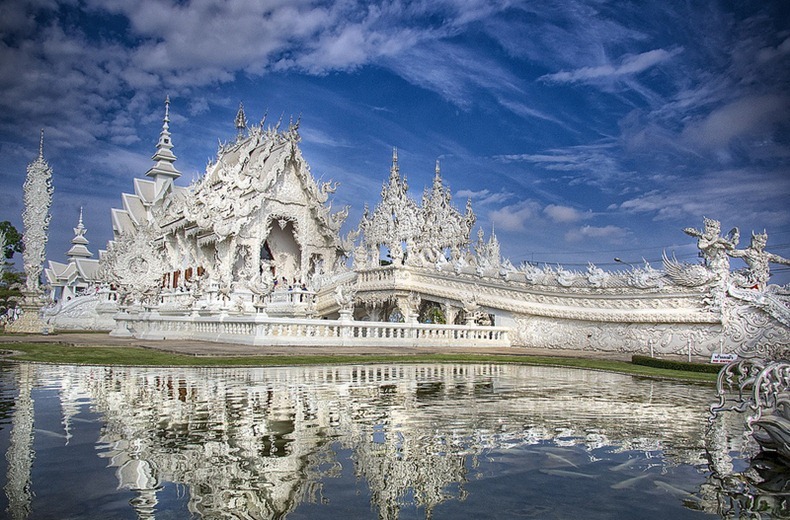 North of Thailand, in Chiang Rai province, it is an idyllic building peculiar in color and design. 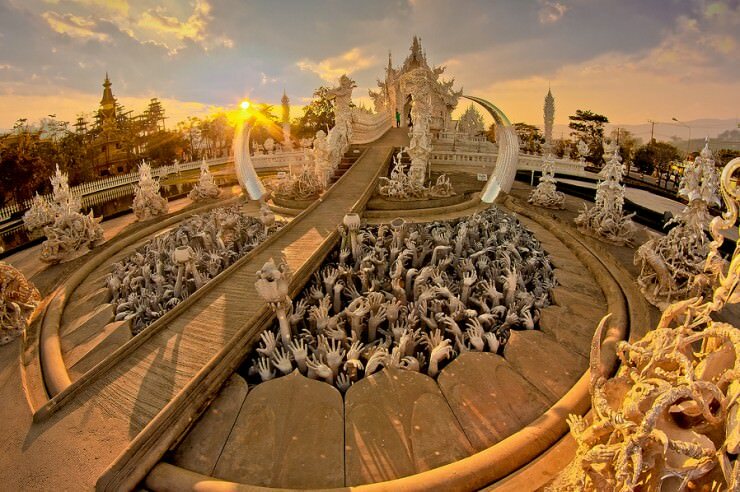 Wat Rong Khun is a contemporary unconventional temple and Buddhism and Hinduism, all in white. This grand palace has become known as “La Sagrada Familia” of Thailand, due to its unusual facade and loaded, and because its construction began in 1997 and is still not over. 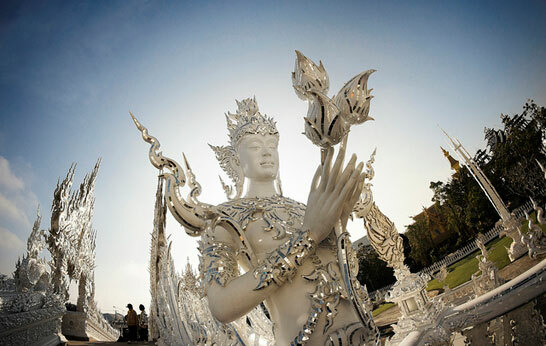 Chalermchai Kositpipat, architect and defender of traditional Thai art, designed this white temple, whose style is a mixture of elements from Hindu mythology and Buddhism, as well as the popular culture of the world. As planned, the Rong Khun will have nine buildings at the end of its construction and aims to be an unmissable stopover in Thailand’s tourism. Similarly, the interiors of the temple are of great importance, as they highlight designs made with crystals, which simulate the wisdom of Buddha. The entrance to the building is free and if you’re lucky, the eccentric architect and designer Kositpipat can be close to give autographs and pictures. At the entrance of the temple, two mythological beings are guarding the arrival of visitors. To access the stunning interiors, it is necessary to cross a small bridge over an artificial lake, where fish are also white. The Meeting Room is the main room of this beautiful palace and is decorated with drawings and sculptures bathed in gold. Other rooms represent elements of nature such as water, wind, and fire. Among some of the buildings around the main temple there is a metallic forest, which lives thanks to donations from visitors who acquire silver hearts and hang them on the branches is built. Do not miss the opportunity to leave your mark on this incredible building worth visiting during your trip through Thailand. Celebrating the music world, this spectacular building is one of the favorites of travelers in China. This project, made by designers of the University of Technology in Hefei, is located in Huainan City, in the Hui province of China. Known as The Piano House, this building was constructed for music students from the local university so they could meet to study and practice their instruments. 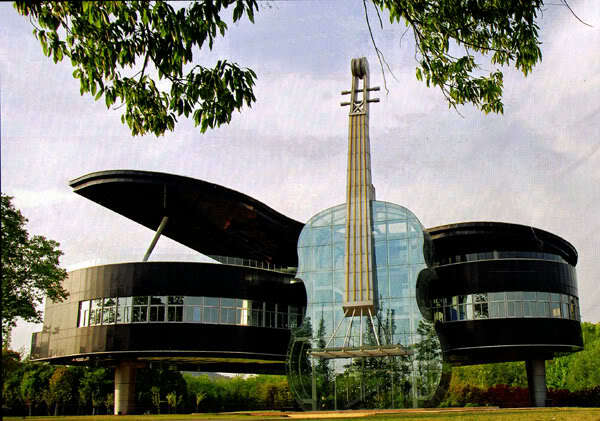 The building is, nothing more and nothing less, than a grand piano with a giant glass violin as an entrance. 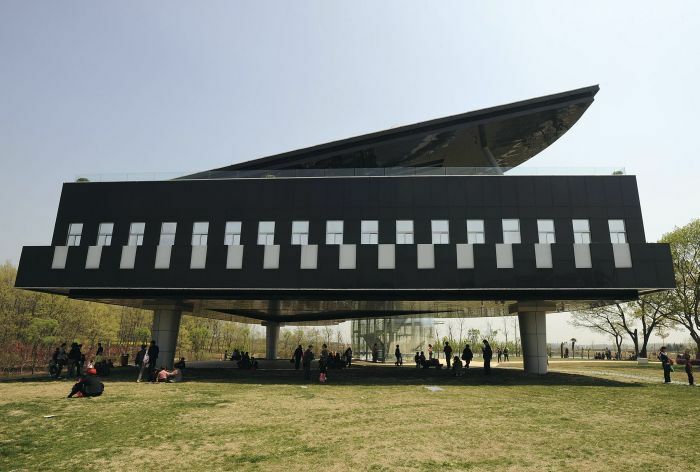 The grand piano houses various offices, study rooms, concert halls, and exhibitions. Outside, this piano gives visitors a huge shadow in a recreation area, especially for young people to share breaks between rehearsals. Meanwhile, the violin, constructed of glass, houses the escalators. 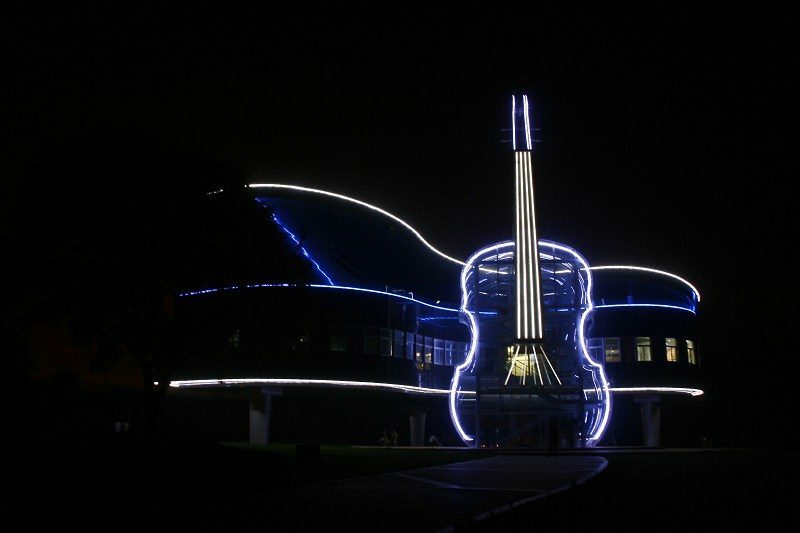 In the dark of night, the whole building glows with neon lights at the edges of both instruments. This beautiful building is open to the public and even hosts various cultural and social events, such as business meetings and weddings. Its interior is designed to match the contemporary style of the facade and it clearly features the world of music; it is even possible to find any kind of instrument in their facilities. Another attraction is the breathtaking view of the city of Huainan, which one can view from the large windows of the building. This positions it among the most important tourist attractions of the city. Undoubtedly, this magnificent and unique building is a must visit for all music lovers and architecture. The People’s Republic of China hosted the 2008 Olympic Games, for which the project Olympic Stadium was made. 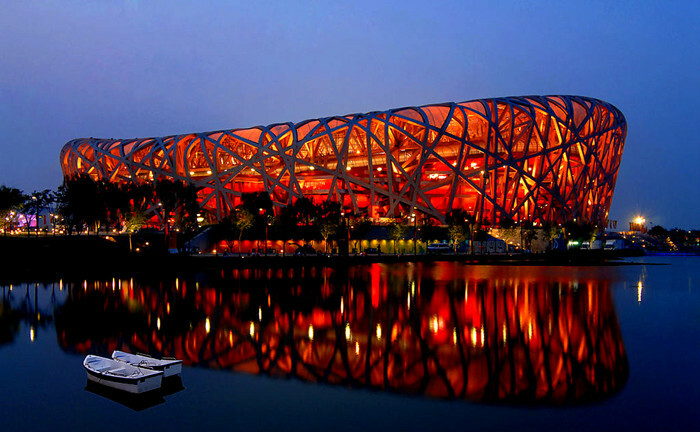 It is known worldwide as the Bird’s Nest because of its exterior which is distinguished by being a network of steel lines. In it they were held the opening and closing ceremonies of the Olympic Games and Paralympic Games, as well as the final of soccer and athletics. 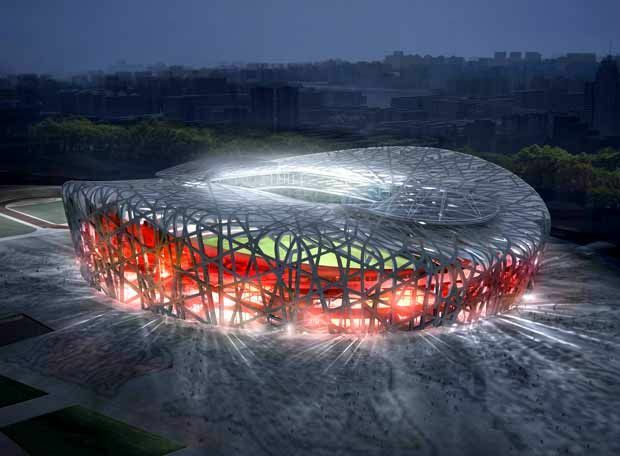 The stadium design is based on the nests of birds, both aesthetically and structurally. Its slightly wavy shape gives it a visual appeal never before seen in Olympic stadiums. The roof of the stadium is covered by a transparent membrane layer, and a translucent membrane fixed at the bottom of it. Similarly, it has an acoustic ceiling that allows unmatched sound. The majestic National Stadium in Beijing had a cost of 500 million dollars, and was constructed in an area of 258,000 square meters. As for technology, the building is a pioneer in collecting natural and solar energy, and has a rainwater collection system for irrigation and cleaning. Swiss architects Jacques Herzog and Pierre de Meuron were responsible for creating this beautiful stadium and, in fact, are the same designers who constructed the Allianz Arena in Munich. In their words, this stadium is “a brilliant aesthetic and structural challenge,” which should have been carefully designed and structured to impress everyone during the Olympics. For its construction, 110,000 tons of steel were used, which makes it the world’s largest construction of steel. Its capacity is of 91,000 spectators and, after the Olympic Games, it has only had other five sporting events, among which is its opening ceremony in 2009. 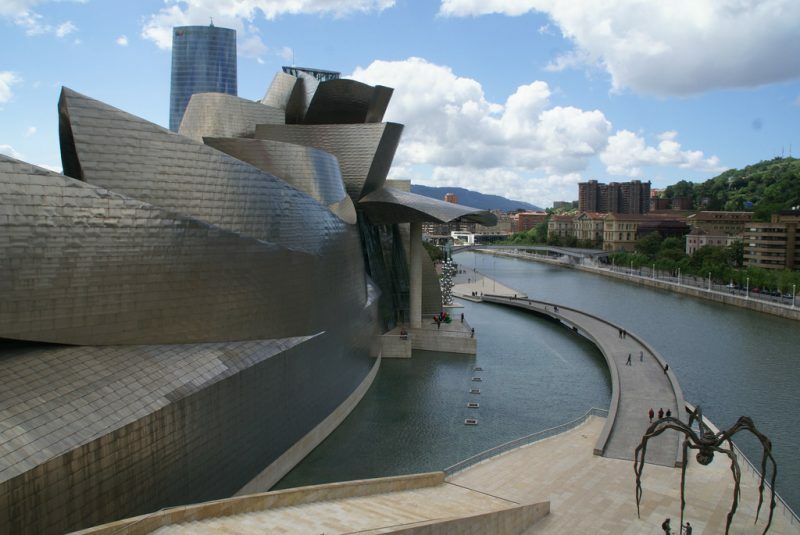 The Guggenheim Museum Bilbao is in one of the most impressive buildings in the country. The artist responsible for this magnificent work of modern architecture is Frank Gehry, an American architect who created this piece, representative of the avant-garde of the twentieth century. Its sculpture structure style fits perfectly with the urban landscape of Bilbao, however, it protrudes significantly making it one of the most important references of the city. This museum is built on 24,000 square meters, of which 11,000 are intended for art exhibition spaces. 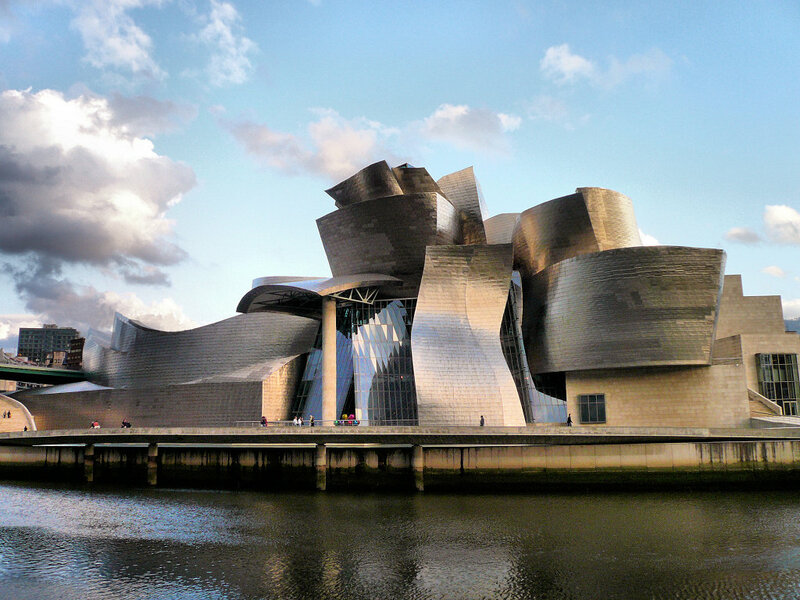 Opened in 1997, this impressive building was realized thanks to the Guggenheim Foundation and the authorities of the Basque Country. During 2015, this great museum received more than 1,200,000 visitors, which reaffirms the cultural importance of the property. It is said that the museum does not have a single flat surface throughout its structure, which is covered by titanium plates on the outside. Honoring the port feature of Bilbao, the building seems to have a boat shape; however, the structure has a flower-shaped top view, and its avant-garde nature allows the building to have an unclear way. 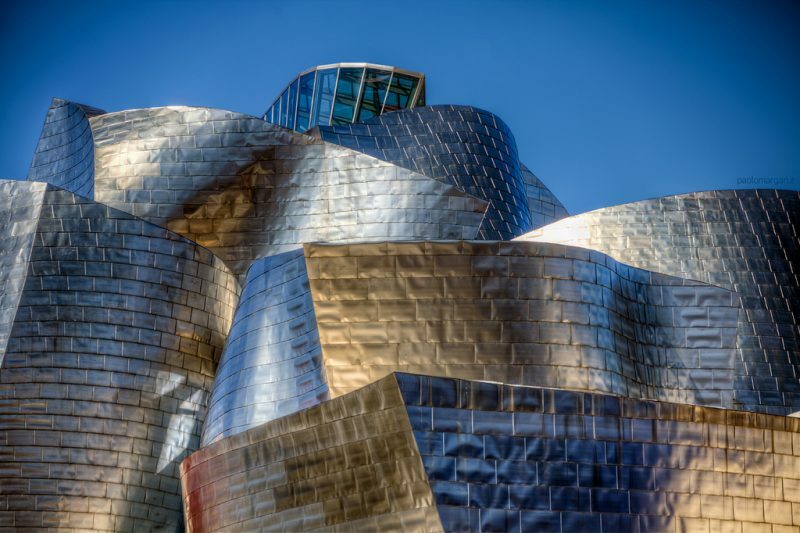 The Bilbao Guggenheim Museum has been recognized worldwide with several awards and distinctions. American architect Philip Johnson has called it “the greatest building of our time.” Also, in 1999 it received the IV International Prize “Puente de Alcántara”. It was awarded in 2000 with the European Museum of the Year Award and is one of the 12 Treasures of Spain since 2007. The project of this great building was planned to house the infinite collection of art from the Guggenheim Foundation, which represents and promotes modern art, and as support for the Guggenheim Museum in New York. The museum also hosts traveling exhibits from around the world and the quality of the works is always very high.